The "Green Knights" of VMFA(AW)-121 fly the F/A-18D out of MCAS El Toro, CA. They operate under MAG-11 and were the first USMC unit to fly the Hornet-D Night Attack Aircraft. During Desert Storm, they operated out of Bahrain and carried out the FAC mission. This is the color version of the squadron patch. The "Green Knights" of VMFA(AW)-121 fly the F/A-18D out of MCAS El Toro, CA. They operate under MAG-11 and were the first USMC unit to fly the Hornet-D Night Attack Aircraft. During Desert Storm, they operated out of Bahrain and carried out the FAC mission. This is the subdued version of the squadron patch. 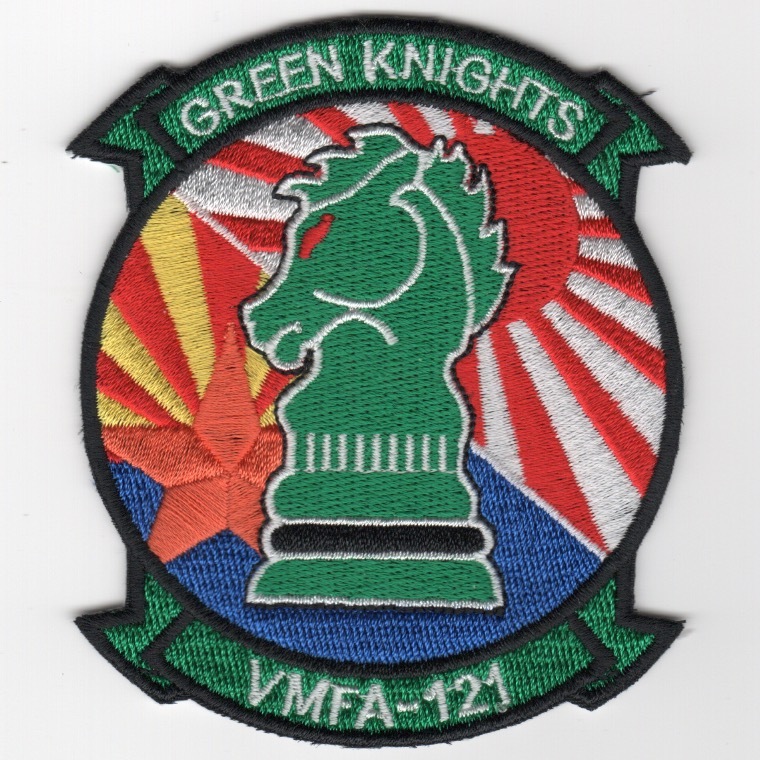 This is the deployment version of the VMFA-121 squadron patch when they detached to the Pacific Theater. It depicts two flags behind the "Knight" (Japan and Korea?) and was worn by the squadron while there. This was found in a Korean embroidery shop, so it has that "theater-made" feel to it and does not come with velcro attached. 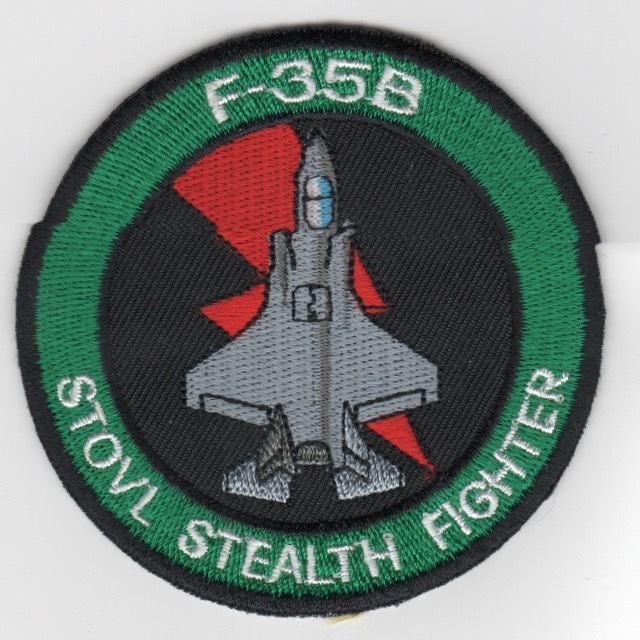 This is the 'Green Knights' Aircraft bullet patch for their new platform, the F-35B STOVL Stealth Fighter. This is the "green/black" color scheme of the squadron's colors and was found in a Korean embroidery shop, so it has that "theater-made" feel to it and does not come with velcro attached. Homepage | Order VMFA-121 Patches!